What Do I Do When My Son or Daughter is Using or Struggling with Drugs or Alcohol? It can be a jarring and frightening time if you suspect or find out your child is using drugs or alcohol. The most important thing is, as soon as this happens, is to confront it. But how, exactly, is the best way to do this? As with every important conversation, it’s best to take some time to prepare. Before you decide to confront your loved one and have the conversation, take a deep breath and plan out your discussion points, and think a bit about the “why” behind their use. We’re here to give you tips and strategies on how to do it. My Child is Using or Struggling with Drugs: What Do I Do? – Is My Child’s Drug Use Even a Problem? – What Makes My Kid Want to Use Drugs or Drink, Even if They Know the Dangers? – How Can I Tell My Son or Daughter That I Don’t Want Them Using? – How Do I Confront My Child About His or Her Drug Use? – Are There Proven Ways to Communicate With and Motivate My Child to Stop His or Her Drug Use? – My Child Says That Smoking Pot and Drinking is No Big Deal. How Can I Counter That, When These Drugs are Legal? – What if My Child is Using ‘Harder’ Drugs, Like Heroin or Opioid Pain Pills? – I’ve Tried Talking to My Son or Daughter About Their Drug Use, But It Doesn’t Seem to Work. They Won’t Listen. – How Can I Reduce the Harm from the Drugs or Alcohol My Child is Using in the Meantime? – What If My Child Can’t Stop Using Substances, and Needs Addiction Treatment? 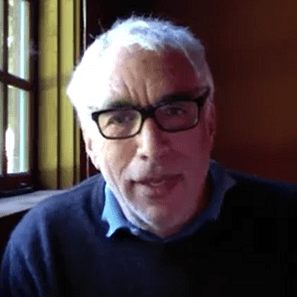 – What If I Need One-on-One Support to Help Me Make an Action Plan? "What I would tell a parent has discovered that their child is using is to accept it. The worst thing that you can do is to go into this place of denial and start saying, ‘Oh, well, that’s not my child’s.’ Accept it. Confront your child. Have a discussion." Is My Child’s Drug Use Even A Problem? We do as much as possible as parents to ensure that our children stay healthy and happy. So why do we dismiss underage drinking or smoking marijuana as “just experimentation” or a harmless rite-of-passage? To truly realize the damage that can be caused by using substances as a teen or young adult, we need to look at the brain’s structure and the way in which it develops. During adolescence, the brain goes through many changes. Actually, the brain is not fully developed until the person reaches their mid-20s. This means that alcohol and drugs can damage a teen’s brain in the long term, potentially causing learning difficulties and health problems in adulthood. If you think or know your child is using substances, it is useful to get a strong idea of what addiction and substance use disorder are. There are several misconceptions about substance use disorder and it is importance to get as much information as possible so that you can be prepared to communicate with your child. For example, we are often told that we should let our son or daughter “hit rock bottom” before intervening, but this is not true. When they are engaged in other activities and have social supports, it is much easier to help them turn their behavior around. Furthermore, many people don’t realize that expecting your son or daughter to quit “cold turkey” is unrealistic, and that changing behavior around drugs and alcohol is a process. In fact, many people with substance use disorder require longer-term or repeated treatment. It is also very useful to find out more about the drugs you believe your child is using. The more you know about what the substance looks like, the signs that someone has used, how it’s used, slang terms and its associated risks, the more prepared you will be to determine whether your son or daughter is using alcohol or drugs, and to talk to them about it. What Makes My Kid Want to Use Drugs or Drink, Even if They Know the Dangers? It can be hard to understand why your child tries or continues to use drugs or alcohol when they know the risks of doing so. However, there are a number of risk factors and reasons for drug use that parents can watch out for. Firstly, a family history of drug or alcohol problems can put your child at risk for developing substance use disorder. Of course, genes are not the only factor determining drug and alcohol use. But, if there is addiction in your family, you should let your child know that they are more likely to develop a problem, just as you would for any other illness. If your child has a mental health issue, or has experienced a trauma (such as witnessing an accident or being a survivor of abuse) they may also be more likely to try, or become addicted to, alcohol or drugs. This is also the case for those with impulse control problems, which make it harder for them to resist the urge to engage in behaviors they know are dangerous. Beyond these risks factors, however, there are many reasons any young person might decide to use substances. Sometimes, it is because they have seen their family, friends, or people on TV using, and they want to fit in. If you think this might be the case, encourage your teen’s friends to come to your house, get to know their parents, and talk to your kid about healthy activities they could take part in. Furthermore, some teens try drugs because they are bored, unhappy, lack confidence, or are going through a life transition. They may turn to substances as an outlet for their negative feelings, help with socializing or as a form of escapism. If this is the case, fostering communication about their emotions and helping them to develop effective coping mechanisms is key. You should also watch out for stress over school or college work. Parenting is challenging and, when you want your child to be happy and successful, it can be tricky to figure out the boundaries between pushing them and unnecessarily intervening or “overparenting”. Sometimes, when kids feel overloaded, they can become stressed and anxious, and turn to prescription drugs to help them study. You should stay involved in your child’s life, but also know when to sit back and let them learn from their mistakes. As well as understanding why your son or daughter might be using drugs, it is also important to understand the wide range of substances available to them. While many drugs widely-used in the past are still common today, drug culture has changed significantly and there are a number of current drug trends that parents may not be aware of. For example, synthetic drugs, such as Spice, K2 and so-called ‘bath salts’, have become increasingly popular. Hallucinogens have also emerged as a popular type of drug in recent years, with some inhaling substances such as embalming fluid to increase the effects of marijuana cigarettes. The internet has also vastly increased the range of substances available to buy, as many purchase drugs on the “dark web” (a part of the internet that requires specific authorization to enter and is not found on regular search engines). This might be paid for with cryptocurrencies and sent to a PO box, meaning that these substances can be bought and sold almost completely anonymously. If you are concerned that your child is using any of these substances, the most important thing is to spend time with them, communicate and watch out for changes in their behavior (including mood, sleeping patterns, school/work performance). You should also monitor what is happening on your computers at home and not ignore any unexplained software or browsing history. How Can I Tell My Son or Daughter That I Don’t Want Them Using? One of the most important things parents can do to help their child stay away from drugs and alcohol is to form a strong bond with their child. Kids who have positive relationships with parents who model healthy behaviors are much less likely to engage in risky activities, such as substance use. Allowing older children to be part of family decision-making can help them to feel both involved and responsible. Teaching kids the skills they need to succeed with the new opportunities you are giving them will provide them support while they learn to be more independent. When your child tries hard or completes a tasks, it is key to acknowledge this in a way they will understand and appreciate. Stay involved in your son’s or daughter’s life, and keep tabs on their whereabouts and who they are with. This will mean you are much more likely to notice if something is wrong and will be better prepared to deal with it. Remember, it is natural for your child to want to take risks. Young brains, and therefore their impulse controls, are not fully developed, meaning they are more likely to do risky activities without considering the consequences. However, this behavior needn’t put your child in danger if you give them the right opportunities. There are plenty of activities that are safe, but involve the fear and thrill of risking failure or criticism. If you can help them to find a way to challenge themselves by playing sports, volunteering, or learning a new creative skill, it may help them to avoid other, more dangerous, activities. However, if you are still concerned that your child is using substances, try writing a letter. While it might seem old-fashioned, a letter can get your child’s attention, make it easier to express feelings that are difficult to communicate in person, and avoid raising the tension or causing an argument. 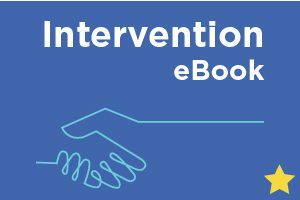 Get the answers to your most pressing questions about confronting your child about his or her drug use all in one place — and learn the most effective ways to communicate and move forward. How Do I Confront My Child About His or Her Drug Use? If you have just discovered that your son or daughter is using drugs, you may feel overwhelmed and not know what to do next. Now is the time to stay calm and prepare yourself for a conversation with your child. If you have a spouse or partner, start by speaking to them. It is best if you can come to an agreement and present a united front. Keep in mind that your child may well accuse you of hypocrisy if they know (or ask whether) you have used drugs in the past. If there is addiction in the family, do not deny it. You can use it as a way to remind your child of their vulnerability to substance use disorder. Furthermore, you should expect the conversation to be uncomfortable and for your child to potentially react with anger; if you prepare beforehand to stay calm, you are more likely to achieve an effective outcome. It can also be useful to gather any evidence you have for your son or daughter’s substance use. While you may not want to go through your child’s belongings, remember you are doing so because you want them to stay safe and healthy. Finally, set a realistic goal for the conversation and be clear about the rules you want to set and the consequences of breaking them. Of course, after preparing for a conversation, you may be wondering how to talk to your child about this complex and emotional topic. The first step is to make sure the conditions are right. For example, waiting until they are not using any substances, avoiding interruptions, and trying to put aside fear and anxiety can really help your conversation to be more productive. Once you’re talking, there are some useful communication tips to keep in mind. Stay on topic, try not to overreact or seem angry, and empathize with how they feel. Throughout the discussion, ensure your kid knows how much you care about them, remind them that you will support them, and thank them for being honest and talking with you. If they do not want to talk, or deny they are using substances, be clear about the behavior you would like to see, bring up any evidence you might have for their alcohol or drug use, and impress upon them how important it is to be honest. However, no matter the outcome of the conversation, make sure you keep communicating with your child by following up on the rules you have set and sitting down again to reflect on the subject with your son or daughter. Are There Proven Ways to Communicate With and Motivate My Child to Stop His or Her Drug Use? You may be wondering how you can motivate your child to stop using substances. If you find out your child has been using drugs or alcohol, one of the most important things you can do is to set them clear limits about the behavior you do and do not want to see. While it can be hard to enforce strict rules and consequences at a time when your child wants more freedom, remember that you are doing so for their own benefit. Making these rules with your child, and letting them have input into the expectations you’re creating, will make them more likely to toe the line. You can also work with them to come up with consequences for breaking the rules, and it may even be helpful to write a contract, to ensure they are absolutely clear on what you want from them. This does not mean that they will not cross the line; after all, making mistakes is how we learn. However, communicating about the behavior you appreciate, as well as the behavior that upsets you, should ensure that this happens as little as possible. If you suspect that they’re breaking any of the rules they have agreed to, keep a record of it so that it is much harder for them to deny in the future. It may also become very useful if you need to seek help from a professional. Behaviors Make Sense. Understanding why your teen is using drugs or alcohol is important and can help you to empathise with how they’re feeling. Active Listening. When you’re in a scary and overwhelming situation, feelings of anger and blame are understandable. However, taking the time to listen to one another can vastly improve family interactions. Positive Reinforcement. One of the reason drugs can be so hard for teens to resist is that they often make people feel less anxious, happier, more sociable or more energetic. Essentially, their brains are being “rewarded” for using substances. Fortunately, you can use the same technique to encourage them not to use. By praising them for behaviors you want to see (such as looking for a job or attending a support group meeting), you can motivate them to repeat these pro-social activities. Natural Consequences. As parents, we want to protect our children and often go out of the way to lessen the consequences of their behavior. However, natural consequences are a key way a teen learns how to regulate their actions. It is important that it is not just a child’s parents that provide boundaries but also outside authorities, such as law enforcement, employers and teachers. Self-Care. CRAFT also encourages families to review their emotional reactions so that they can develop more effective responses for the future. Understanding our own emotions and taking time to ensure you are mentally and physically healthy is key to helping your child. You may be wondering: by helping, am I enabling my child? However, you can praise and reward your child in a way that will reinforce positive behaviors and not encourage their substance use. My Child Says That Smoking Pot and Drinking is No Big Deal. How Can I Counter That, When These Drugs are Legal? It is easy to dismiss the use of alcohol or marijuana by your teen as “just experimentation” or a “rite of passage”. However, given that ninety percent of addictions begin in adolescence, ninety percent of underage drinking is binge drinking, and that substance use can have long-term implications for the developing brain, parents should remain concerned and act to help their child avoid these drugs. There are a number of risk factors that can make young people more inclined to try substances. These include a family history of substance use issues, mental health problems and poor impulse control. Trauma and/or bullying can make teens vulnerable to using alcohol or drugs as a form of escapism or comfort. It can also be as simple as rebellion or as the result of boredom. Despite these risk factors, there are a number of things parents can do to reduce the likelihood that their son or daughter will use substances. Central to this is to ‘delay, delay delay’; the longer you can help your child to avoid drugs and alcohol, the more likely that they will also avoid substance use issues. You can help them to develop coping skills for stressful situations, and model these healthy habits. You should also notice and praise any decisions not to use drugs or alcohol. Of course, encouraging your child to avoid alcohol specifically can be particularly complex and difficult, as it is legal and many parents drink at home. To help prevent underage drinking, do not make alcohol available to your child, supervise any parties in your home, talk to your kid about the representation of alcohol in commercials or in TV and film, and ensure that your child knows that they can call you to be picked up whenever needed. Overall, it is most important that you communicate effectively with your son or daughter to make sure that they know the rules, but also to understand why they might be interested in using substances and to help them recognize the risks involved. Furthermore, a place that your kid might be exposed to underage drinking is at college. We know that it is scary enough sending your kid off to college without worrying about the dangers they might encounter there. However, research has shown that, although your child might act as if they’re ignoring your advice, most young adults are greatly influenced by parental attitudes and the rules put in place as they were growing up. While you might think that allowing kids to drink before college takes the mystery and excitement away from it, research suggests that children whose parents communicate clear messages against using alcohol during high school are less likely to drink excessively during college. The most important thing parents can do is to stay in touch with their child. You don’t have to talk to them constantly about the risks of drugs and alcohol, but being a continuing influence and knowing what’s going on in their life will help you to steer them away from substances and identify any problems early on. Understandably, many parents ask us why teens binge drink, especially when they know it is so risky. There is no simple answer to this but we do know that teen brains are ‘wired’ for risk-taking and exploration, and might well put immediate happiness and the chance for a ‘good story’ above the potential future consequences. Furthermore, with widespread access to alcohol and the false perception that “everyone is doing it” makes this behavior seem acceptable and ‘normal’. Another substance that is being increasingly normalized and validated is marijuana. Legalization, its portrayal in pop culture, and the variety of ways of consuming the drug (edibles, vaping etc) mean that it can be incredibly difficult to know how to talk about pot with your kids. The first thing you can do is get a better understanding of the teen brain. The part of the brain that controls impulses is not fully matured until a person is in their mid-twenties. Therefore, young adults can be particularly vulnerable to drug use. In addition, the fact that their brain is still developing means that the use of substances can have long-term effects and potentially lower a person’s IQ. Even casual use can cause them to engage in risky behavior or make bad choices when under-the-influence. Furthermore, thanks to vaping, it is becoming more and more difficult to know if your child is using marijuana. Vaping, sometimes also called Juuling, is the inhalation of vaporized flavored ‘e-juices’, often containing nicotine. However, it is also possible to vaporize ground marijuana, waxes or the active oils in weed, THC and CBD. A study published by the American Academy of Pediatrics says that the use of e-cigarettes may also be a marker of cigarette and alcohol use. These are both behaviors associated with using marijuana, and research does show that that ten percent of 12th graders had vaped marijuana in 2017. Nevertheless, despite these new technologies, which are making marijuana use less detectable, there are still some telltale signs that your child has been using. Just like smoking, vaping pot can result in bloodshot eyes, dry mouth and excessive thirst, increased appetite and changes in mood, behavior and social circle. You can also look out for paraphernalia, such as vapes (that often look like flash drives or pens), gel jars containing ‘dabs’ and pods or cartridges containing THC oil. So, what can you do if you’re concerned your child is vaping marijuana? The most important first step is to communicate with them. Find a good time to ask them about what you have discovered, try to listen rather than lecture, set expectations, and teach them how to refuse drugs if they are offered. You can also have another family member or loved one talk to them to reinforce your message, and you should model healthy coping mechanisms at home, such as taking a walk or a bath rather than pouring a glass of wine or smoking a joint. 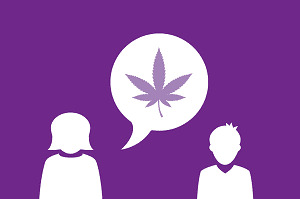 Learn why pot is still risky for teens, what you should and shouldn’t say in a conversation about it, and how to respond to your son or daughter’s questions. What if My Child is Using ‘Harder’ Drugs, Like Heroin or Opioid Pain Pills? The opioid epidemic is serious and is having disastrous effects on communities across the country. In fact, more Americans die from overdoses than in car crashes, and this is being ramped up by increasing misuse of prescription medication. So, what are opioids and why are they so harmful? All opioids act on the body’s receptors and carry high risks of dependency, addiction and overdose. Heroin is the most well-known, and, as it is an illegal drug sold on the streets, it carries additional risks. However, opioids also include prescription pain medication, such as OxyContin, Percocet and Vicodin. Furthermore, there has recently been a huge increase in synthetic opioids, such as Fentanyl. It is important to know about Fentanyl, as it is around 50-100 times stronger than heroin. As it is relatively cheap to produce, it can be mixed into other opioids without the user knowing, sometimes with fatal consequences. Naloxone (Narcan) can be used in the event of an overdose, but because of its potency, the standard dosage may not be enough. It is well-known that opioids have a very strong risk of addiction but it can still be hard for parents to understand why their child continues to use when these substances are so harmful. What they might not know is that opioids create changes in the brain, which cause cravings that are almost impossible to resist. Once dependent, not taking opioids leads to extremely painful withdrawal. Withdrawal symptoms usually last five-six days and put the person in a place where decisions-making is difficult and the drug overrides their thinking. Consequently, relapse is very common and most people who are addicted to opioids cannot stop using without help, often in the form of Medication-Assisted Treatment. If your daughter is dependent on opioids and becomes pregnant, this can become an even more overwhelming and worrying time. However, pregnancy and parenting can offer a significant motivation to get into recovery and commit to the process. Attentive parenting during recovery is possible with the right support. Why Can’t My Child Just Stop Using? What Happens When My Child Goes Through Opioid Withdrawal? I’ve Tried Talking to My Son or Daughter About Their Drug Use, But It Doesn’t Seem to Work. They Won’t Listen. If you are trying to help your kid but they are denying there is a problem, it can be scary and you might feel consumed with hopelessness, guilt, worry and anger. It might even seem like you’ve tried everything to help your child with their drug use. This is understandable. However, it is important to notice the small victories. If your child helps with chores or gets a part-time job, make sure to acknowledge that and take a moment to appreciate this positive behavior. Minor alterations can grow into much bigger changes and setbacks can be used as opportunities to review the recovery process. Ron, whose son was experiencing addiction, says to remember, “where there is life, there is hope”. Appreciating those things going well, no matter how small, can be extremely useful for you, your child, and the rest of your family. Indeed, loving and caring for your child, even when you don’t like their behavior, can be central to their recovery. It is not always easy, especially when they are doing so much that hurts you and your family. But staying engaged with your child, and taking the time to communicate and spend time with them, can make all the difference. If you are having trouble getting through to your son or daughter and are not sure how to proceed, you could try writing a letter. It can be easier to express difficult emotions in writing, and it can be a cathartic process for both you and your child. Fundamentally, to address addiction, we need to understand it and realize that substance use disorder is a disease, and not a moral failing. Although it is easy for families to get upset and angry at a teen who seems to care more about using substances, it is key to have realistic expectations about what your child can do and give. Try to accept what you have, manage expectations, love your child even if you can’t stand their behavior, and be thankful for what you have. Doing this includes examining your own behavior, to ensure you are both modeling good coping mechanisms and managing your own substance use. For example, it was easy for one of our parents to dismiss her own frequent drinking as harmless, until she realized that this was contributing to her son’s substance use problems. If you have a partner or spouse, it is also just as important to communicate effectively with them. In difficult situations, it can be tricky to agree on a course of action, especially if you both have different perspectives on the use of drugs. However, there are techniques you can try that might make these conversations a little smoother. For example, if your partner is suggesting a later curfew time, you could try it and agree to review it at a later date. You won’t always be able to act as a ‘united front’, but cooperating and collaborating as much as possible will be helpful for your child. It is also vital to find ways to handle negative emotions and take care of yourself. Firstly, do not try to stop negative thoughts; acknowledge them and accept them with as little judgement as possible. Then you can try to work out what caused the feeling and challenge any unhelpful thoughts you are having. You can also trying breathing techniques, such as controlled breathing, which can help you in moments of fear or anxiety. It is also key to practice self-care in the wake of your child’s substance use. You might think the idea of self-care is indulgent or luxurious at such a difficult time, but it is not. There is significant evidence to suggest that looking after yourself can have improve both your mental and physical health and, when this is the case, you will be able to handle situations better, deal with stress more effectively, model healthy behaviors and be a stronger support for your child. Give it a try – it doesn’t need to be anything lavish. Simply putting an hour aside to get coffee with a friend, lighting a candle, taking a yoga class, listening to a podcast, or reading a book can help you take a break from worrying and let you recharge. To find out more about the different roads to recovery, read our Stories of Hope, where a range of people describe their experiences of managing struggles with drugs and alcohol. What If I Feel Like I’ve Tried Everything? How Can I Reduce the Harm from the Drugs or Alcohol My Child is Using in the Meantime? If your child is not ready to seek help, or there is a waiting list in your area, keep encouraging them to move towards treatment. An effective method for motivating your child is Community Reinforcement and Family Training (CRAFT), which you can practice and use at home. If your child is using opioids, there are more concerns. To keep them safer and alive while they are still using, you should create a safety plan with them. It is vital to get Naloxone (Narcan), which is a lifesaving medication that can reverse an opioid overdose. You should also learn how to use it and make sure those who frequently see your child know how to administer it too. Ask your child not to use drugs alone, so that other people can help if something happens. If your kid has not taken opioids for a period of time, emphasize the risk of overdose from lowered tolerance. Highlight the dangers of combining drugs, such as opioids and stimulants (cocaine, meth) or opioids and depressants (benzodiazepines, alcohol). Ensure they’re being safe if they’re using drugs intravenously. Lastly, talk to them about the dangers of Fentanyl, which is cheaper, 50-100 times stronger than heroin, and sometimes mixed into what a user believes is prescription pain medication. What If My Child Can’t Stop Using Substances, and Needs Addiction Treatment? People may have told you that, for your child to get better or want help, they have to ‘hit rock bottom’. For many, this is not true. You just need to take advantage of ‘change talk’ — any expression that their drug use is a problem or a willingness to get help. If you can get them to talk about it more, you can help them to draw bridges between seeking treatment and positive life changes. Of course, this is unlikely to be straightforward and your loved one might bounce between wanting to change and denying that there is a problem. This is normal and you shouldn’t feel too discouraged; this is not an easy process but you are in the best position to help. 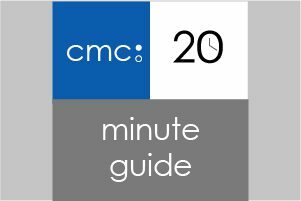 For more information about helping your son or daughter who is struggling with substance use, you can also read the Center for Motivation and Change’s Parents’ 20-Minute Guide, full of helpful communication techniques and perspective. What If I Need One-on-One Support to Help Me Make an Action Plan? If you have any questions or need emotional support, assistance developing a plan or tips for communicating with your son or daughter, get in touch with our Parent Helpline via phone, text, or email. You can also sign up for Help & Hope by Text to receive supportive text messages if your child is struggling with opioids. Learn the reasons behind teen and young adult drug use as well as how parents can be useful allies in getting help for a drug issue. To better understand the science behind how drug use affects the brain, and particularly the teen or young adult brain, the National Institute on Drug Abuse has put together a collection of resources. If your child has been difficult to talk to lately or they are denying there is a problem, this guide for breaking through communication barriers may help you to prepare for difficult conversations. "With addiction, it can be shameful that we want to hide it. I postponed and I denied and I didn’t see what was going on. If I had known what I know now, I would have put my son into rehab treatment at the first signs that he was getting in trouble."